Common Artifact. Pair of Earrings (United States) 2018. Wood and Pearls. 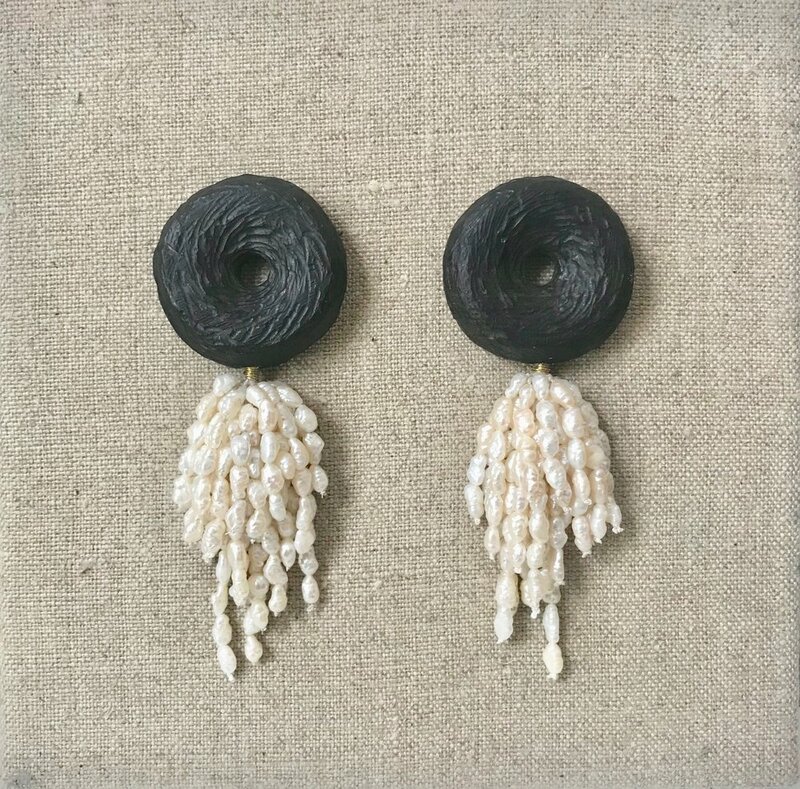 This pair of earrings draws inspiration from the Inagaki mask, a piece of anonymously carved wood with only a region and broad time span to define its origins. This lacking narrative invites the viewer to imagine the motives of the creator, and the depth of the item’s cultural significance. Are ideologies, context and conflicts lost or preserved through a beautiful object? The importance of conserving items of culture intrigued me to create an artifact of my own. My history is a culture of hybridity, a fusion of peoples that would not otherwise be connected. Both my mother and my grandmother built metaphorical bridges between Mexicans, Chinese and Serbians through marriage, with their offspring as an embodiment of this connection. What is culturally normal for me, I now realize is abnormal for most of the world. These earrings combine precious materials of China and Africa, to symbolize the union of my marriage. I use jewelry as a descriptive place mark, not merely an item of adornment but a vehicle for narrating a new story through its beauty. These earrings are meant to be worn, with the intention of interlocking form and history. This piece is showing at the Barnes Foundation show "Let's Connect", open until June 4, 2018.